Chaps – following on from last month’s post about the shoes you need in your wardrobe, I am starting a monthly menswear special focussing on your key items. 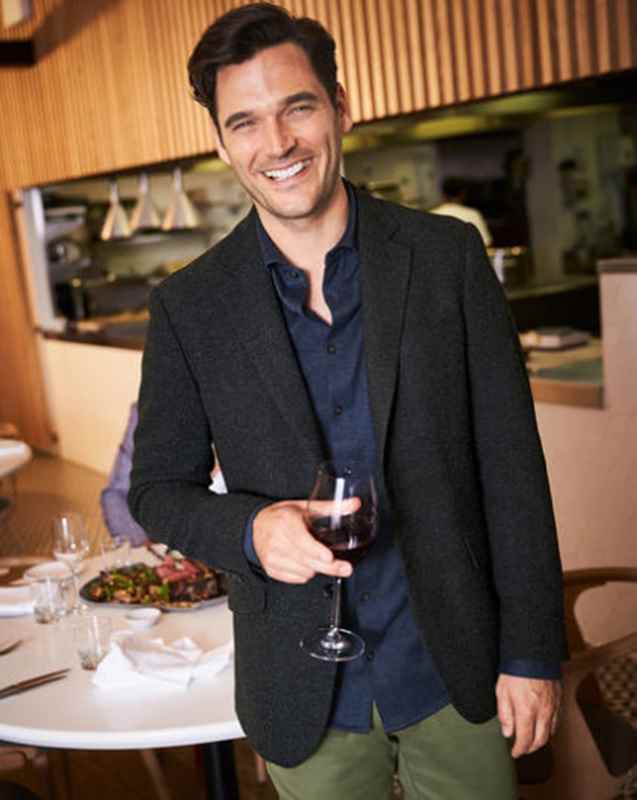 As dress codes become less and less formal, striking the tricky middle ground that is ‘smart casual’ or ‘dress down Friday’ becomes more and more important to nail. 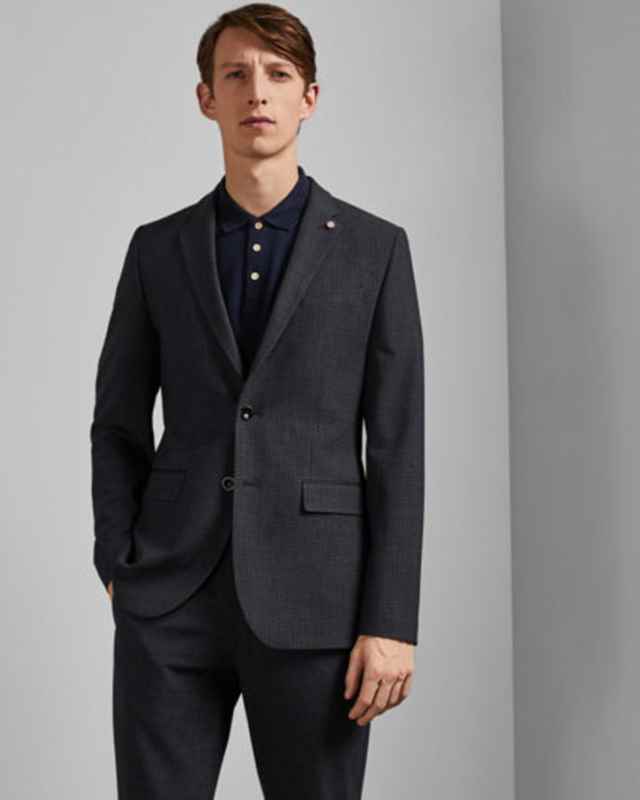 The piece that will do this for you is the blazer – definitely not the top half of a suit – this is a standalone piece that you can pop on over a shirt and pair with both denim or smarter chinos. A couple of pointers: you want it to be single breasted – you are not a pilot, nor are you living in the 80s, a tweed/melange fabric will go with most of your wardrobe and it goes without saying, it needs to fit you perfectly so you look slick. This is perfect for wearing with black denim or black chinos. A blazer that mixes a couple of tonal colours will always be more versatile than a flat colour which can often look at odds with some of your trousers/jeans. 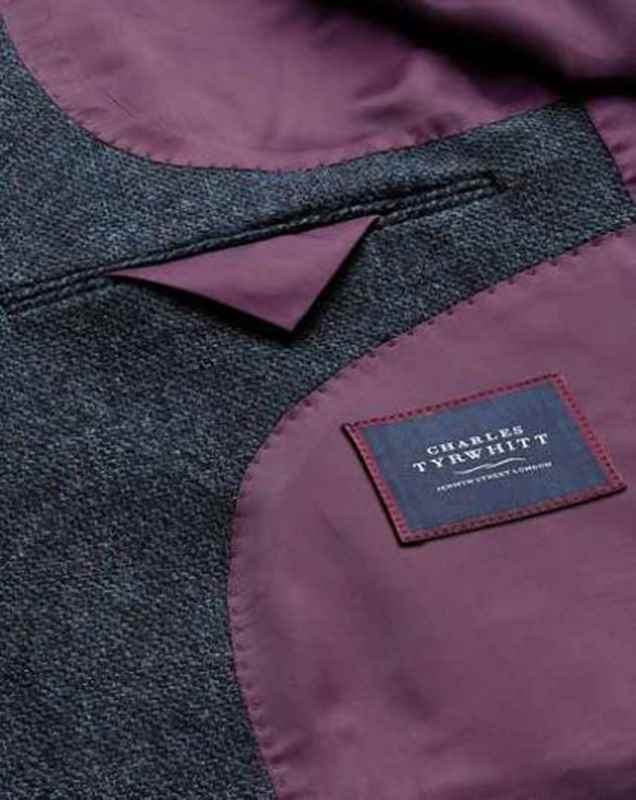 The beauty of Charles Tyrwhitt is that the jackets come in short, regular and long lengths and this style is also available in a classic fit if the slim fit doesn’t work for your build. 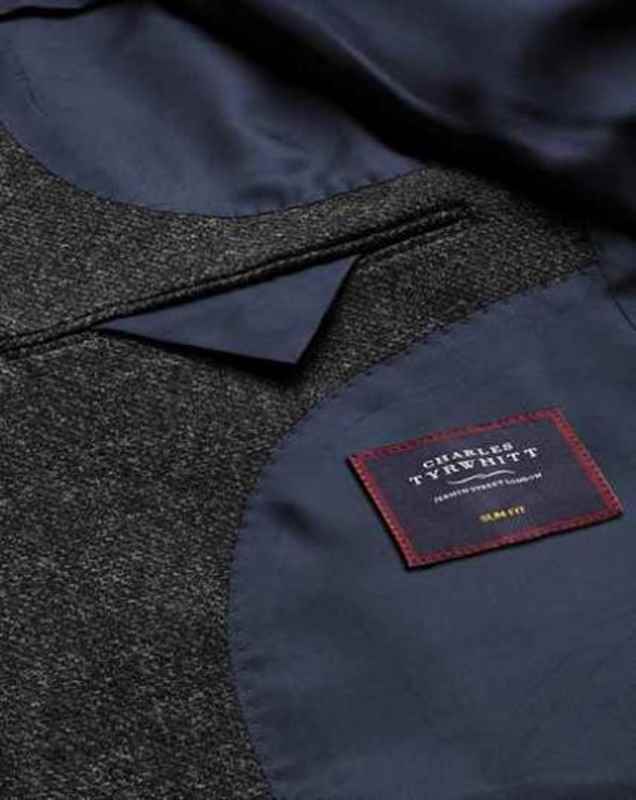 As with the Cos style the charcoal and navy are both melanges so will be extremely versatile. You can also dress it down as here. 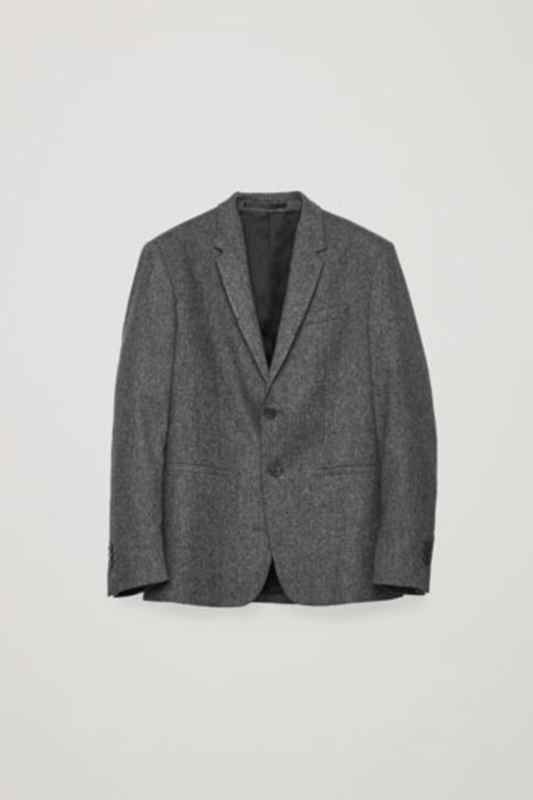 If you’re wedded to your blue denim or navy chinos then this blazer is perfect. Plus with the signature jazzy linings, you will certainly be putting your stamp on the office uniform. Another great, versatile option that mixes different shades of blue to work with denim and navy trousers. 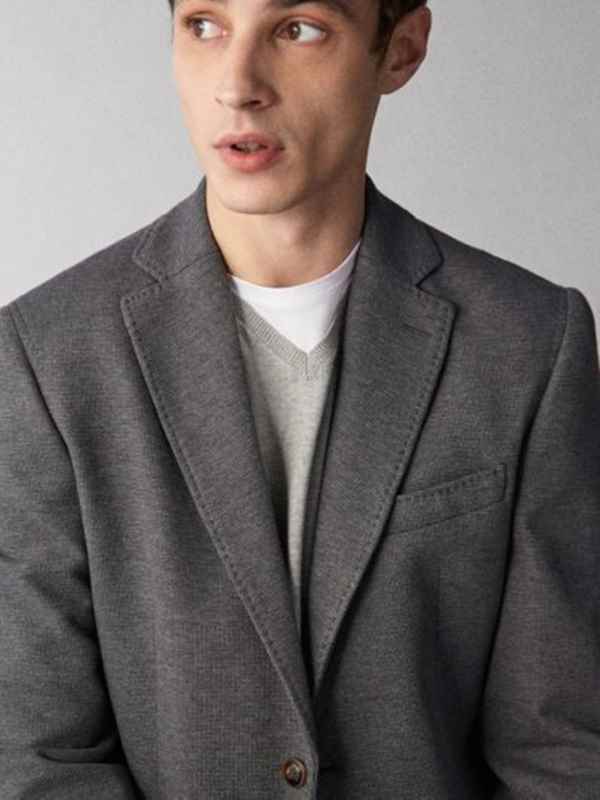 If you don’t like the tweedy look, then going for something with a bit of texture might be a half way house and this grey blazer will work just as well with navy, black or denim. So if you struggle with navigating those in-between dress codes, a slick blazer is your solution.